I have a degree in modern history from the University of Oxford: that will give you the wrong idea of what I studied though. Oxford took modern history when I studied there to have begun with the acclamation of Diocletian in 285AD as Emperor of Rome: whatever you would conventionally think of modern history, whether its industrial history, the history of democracy, of total war or even of nuclear war, I doubt you would start with the tetrarchy. I'm not being trivial here- periodisation within history matters. We identify something common about the centuries or decades or even years that we group together- and we use periods to make polemical points. One of my favourite books about history is John Pocock's Machiavellian Moment in which he groups the thought of early modern Englishmen and Americans by their allegiance to the Florentine Republican across a span of two centuries- a moment! You can see the impact of periodisation by looking at the Roman Republic. In a wonderful history of the Roman republic Harriet Flower argues that there was not one but several Republics. She describes the early history of Rome in fascinating detail- leaves the middle years around the second punic war- and then advances into the late Republic. What's so interesting about her treatment of the late Republic is that she discards the conventional narrative. That narrative perpetuated by dozens if not hundreds of historians sees the Roman Republic ending with the demise of Julius Caesar, the rise of Octavian or a number of other markers in the 40s and 30sBC that mark a transition to Principate. At one point the Republic had fallen, at another the Principate had risen to replace it. The space from consuls to Princeps could be measured in milliseconds! Flower discards this image. She argues, convincingly, that what actually happened was that the REpublic ended in the 80sBC. From 80BC onwards custom after custom was discarded. 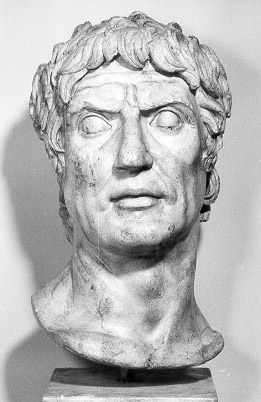 Sulla attempted to reinvent the Republic in the 80s and it is the fall of his invention that we are watching as we watch Pompey, Crassus, Caesar, Cicero, Caelius, Cato and the rest battle on the streets of Rome and cross their individual Rubicons. This matters because it reorientates our explanations for the fall of Rome's Republic. That matters because the fall of the Republic is the foundation myth of our own democracies- I will come later to what I think this means for our thinking about why democracies end. Rome's Republic was killed in the final analysis not in the 40s but in the 80s: the implications of this are vast because they tie Rome's fall to an existential crisis in the late Republic (130-100). This crisis was dual. On the one hand Rome had to work out whether its citizenship criteria should make it a city (Rome for the Romans) or a representative civilisation for the entire Italian Peninsular. This conflict broke into actual war in the Social Wars (91-88BC) but was a deep contradiction at the centre of Rome's incarnation as a European Empire. Secondly in the 100s, external military crisis- the invasion of the Cimbri and the Teutones and the war against Jugurtha- forced Marius the great general to widen the recruitment of the army. His military reforms meant that Rome's army changed in nature at the same time as Roman citizenship fluxed. 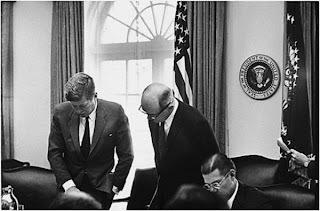 Furthermore the failure to cope with invasion without reform of the military system indicated something was deeply wrong with the traditional structures of power. The Republic fell. Lastly Flower tackles the Sullan effort to reform in the 80sBC. She argues that the republic that Sulla created was inherently unstable. She argues this because it was based on the rule of law not the rule of custom: it was brittle to the touch. Politicians like Cicero began to use extra legal mechanisms to attempt to shore up the rule of the Senate: when Cicero proclaims Catiline an enemy of the state and murders him, he follows in the line of previous aristocratic murderers (from the Gracchi brothers down!) in a practice of illegality which proclaimed the Republic ended. Put another way- the rule of law is useless without the rule of custom. Secondly she suggests that the key thing which undermined the Sullan republic was not so much the instability of its arrangements as the fact that by the end of its rule, nobody knew what freedom and republicanism actually meant. This insight is as old as Tacitus. Rome's Republic fell because its citizens had forgotten what it was to be Republican: as Tiberius strode into the senate, there was no Brutus because noone could remember a time before either anarchy or tyranny.